The following information applies to original licence applications for a Pawnbroker or Second-hand Dealers Licence. Read each section carefully as failure to comply with the requirements could delay the issue of your licence. IMPORTANT: Partial or incorrect applications will not be accepted. The Pawnbrokers and Second-hand Dealers Act, 1994 (here after called the Act), requires you to advertise your intention to apply for a licence. The advertisement must be published in a newspaper which circulates throughout Western Australia, e.g. The West Australian. Your application for a licence must be lodged (within) 28 days of advertising your notice of intention in the newspaper. Notice of Intention ( 15kb). Section 36 of the Pawnbrokers and Second-hand Dealers Act 1994 – other requirements in relation to licences. the words “ Licensed Pawnbroker” or “Second-hand Dealer”, as the case may be, in legible lettering at least 50mm high. Pawnbrokers and second-hand dealers are required by law to provide the Commissioner of Police with information in relation to each of the goods in their possession. A person who is a pawnbroker only, or a pawnbroker and a second-hand dealer is to send the information to the Commissioner of Police via email with TAG software. 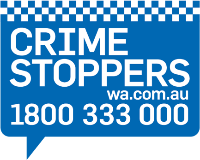 A person who is a second-hand dealer only, is to send the information via email with TAG software or fax to (08) 9454 1555 which is specified by the Commissioner of Police. Officers from Police Licensing Services can assist you with further information about transferring information to police. Note: You must apply to renew your licence 28 days before your existing licence expires. The onus is on you the licence holder to keep your licence current. You are also reminded that you are required to state any changes in details to those provided in your original application and support these changes where applicable by supplying original documentation and photocopies of that documentation. Under the provisions of the Act you will be required to keep records. Police can and will inspect these records at any time during business hours. The Act requires that records of current and former employees to be kept. (Former employees’ records MUST be kept for 12 months). It is a requirement under the Act that you shall not employ person/s who have convictions which would render them unsuitable to enter into contracts on your behalf. To assist you in determining a person’s suitability, it is STRONGLY RECOMMENDED that you insist that prospective employees acquire a current National Police Certificate. Applications for these certificates are made at Australia Post outlets after completing an online application form. Applications are to be made in person at the local police station Please telephone your local police station to make an appointment.